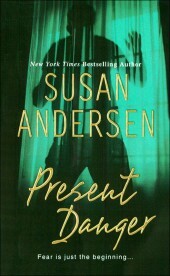 Susan’s Exciting Romantic Thriller is Back in Print! On the run from her ex-husband, Aunie Franklin doesn’t want another man telling her what to do. She’s learning to take charge of her life. James Ryder is finally getting his brothers’ troubles straightened out– the last thing he needs is another responsibility thrust upon him. But somebody’s got to teach this little southern belle some street smarts. This is the book that started a family tradition. I wrote it in the early 90s, and during a conversation with one of my nephews at a family gathering, he mentioned he wanted to be in it. So I gave him a walk-on part as a cop. Then his brother said he wanted to be in my next book, except he wanted to be the hero. (I love these guys!) I wasn’t able to oblige him by giving him that role, but he, too, became a walk-on cop in Obsessed. Well, then I couldn’t leave out their brother, so he became an FBI (or maybe it was DEA) agent in On Thin Ice. After that, the die was cast. My friends and family expected to see someone they knew in every book. So beyond my oldest brother’s boys, I’ve featured my niece and her son, (Exposure) her brother (Baby, I’m Yours), my son (Be My Baby), another niece and her husband (Baby, Don’t Go), my nephew’s wife (All Shook Up) my cousin Colleen’s son, whom I’ve always thought of as another nephew (Head Over Heels), my BFF (Getting Lucky), and an old friend of the family (Skintight and Just For Kicks), who is no longer with us, but who got a real kick out of it at the time, just to name a few. In truth, I’ve kind of lost track of who’s in which title in my more recent books, but they are there andthey know they’re there, so I guess that’s all that counts. And I’ve got others lined up patiently awaiting their turn. Given the size of my family, it’s probably a good thing I’ve still got a bunch of books left in me, right? The quickest way to Aunie Franklin’s heart was not through complimenting her looks. She had been praised for her appearance since she was five years old and quite honestly didn’t understand what all the fuss was about. Like most women, she felt she needed a helping hand from the cosmetic industry. Anyway, wasn’t the arrangement of one’s features pretty much an accident of genes? Not exactly an accomplishment she could point to with pride, was it? Now what she would truly find flattering was to hear she was intelligent, or better yet, competent. At twenty-six she felt she had already wasted most of her life being nothing more than a decoration- nice enough to look at, she supposed, but ultimately rather useless. She looked up at the facade of the old brick apartment house. It had caught her fancy immediately, with its old-fashioned portico, the warm coloring of the bricks, and the lovely front door, which was mostly a large oval of beveled glass. She couldn’t believe her luck in spotting this place. The building was not too large, it was close to a community college, and best of all there was a sign, Apartment for Rent, on a peg thrust into the postage-stamp sized lawn out front. She hadn’t even noticed that at first glance. Her eyes had been drawn to the building itself as she’d slowly maneuvered the narrow streets in her rented car. It had an air of shabby gentility that made her feel right at home. She’d lived in places like this one before. It looked absolutely perfect, which couldn’t help but make her feel a bit nervous. Things that looked too good to be true generally were. She’d discovered that the hard way. Perfection ceased to be a problem the moment she attempted to find a parking space. In this neighborhood it was obviously an exercise in frustration. She had to drive several blocks, turning several corners in the process, until she finally found a space so small it took her three attempts at parallel parking to squeeze into it. Then, of course, she had to find her way back. She’d turned so many corners she was completely turned around. The speaker next to her ear emitted a static crackle. “May I help you?” asked a disembodied voice. “The manager’s apartment is 1A on your right.” The door buzzed and Aunie pushed it open. Closing it behind her, she shivered in the sudden flow of warm air. She hadn’t realized how chilled she was until she’d stepped out of the moisture laden wind. After a lifetime in the South, she was going to need a bit of adjusting to this Seattle weather. It wasn’t actually raining, yet there was a dampness in the air that cut to the bone. To herself, Lola thought, I sign this one up quick, before James catches sight of her. With her usual decisiveness, she had taken one look at the fragile looking woman with the battered face and determined she was in need of help and friendship… and very likely protection as well. She also knew that if James were to see her, he would turn her away in a second. He had some ridiculous new notion about not taking care of people anymore. Said he was tired of having everyone’s problems dumped in his lap and from now on, he was looking out for number one…period. With that bad-luck family of his, Lola understood his sudden change of attitude. But it was the man’s inherent nature to handle trouble, so at the same time it made her impatient. Destiny was destiny, and it was futile to rail against what was meant to be, now wasn’t it? Lola knew that even if James did not. Aunie’s overall impression of the apartment was of spaciousness, even though it wasn’t actually all that large. There was a small, efficient kitchen and an even smaller bathroom with an old-fashioned claw-foot tub and pedestal sink. The bedroom was a reasonable size, though, and its floor was covered with thick, plush, wall-to-wall, pearl-grey carpeting. It also contained a huge closet. The rent was only a little steeper than she’d expected to pay, but it included heat, so in the long run she would probably get the best of the bargain. She had a feeling she was going to go through a great deal of fuel before she became acclimated to this damp new climate. With a sense of satisfaction, she trailed Lola back to her apartment to sign the papers. First full day in town, and already she’d found a place to stay and had brochures from the nearby college. Aunie corrected her and went on to spell her last name also. In moments, she was signing a six-month lease and endorsing a number of traveler’s checks to cover first and last month’s rent and a damage deposit. When everything was in order, Lola offered her a cup of tea. Aunie hoped so, too. Talking with Lola as she finished her tea, she marveled at how uncommonly relaxed and at home she felt. She had never actually known an African American on a personal level before. The few with whom she’d had even the most minimal of contact were connected to the service industries, and it was a firmly entrenched belief in her family that people from their rarified echelon of society did not mix with those who served them. She wasn’t so sheltered she didn’t realize there were many African-Americans in positions of authority far removed from serving others. She had simply never met any and so had never given any thought to how well she’d mix with them in a social situation. Prejudice apparently wasn’t as inbred in her as it was in other members of her family, however; inexplicably, with Lola she felt as though she were talking to an old friend. The exotic woman had a natural dignity and exuded a friendliness that prevented Aunie’s old demon shyness from manifesting itself. She felt she could listen to the lilting cadence of her voice forever, could bask in the warmth of the woman’s eyes. “Lola!” Aunie watched with interest as a tough-looking, well-built man swept Lola off he feet and swung her around. He had the go-to-hell eyes of someone who’d seen it all, and soft, pale blond hair that receded slightly from his high forehead and was pulled straight back into a short ponytail. Aunie had never particularly cared for ponytails on men, but the style seemed to suit this one’s face, which was all strong planes and angles. The shape of his skull was delineated faithfully beneath the taut skin of his forehead; he had a bony, prominent nose and a stubborn-looking chin. His cheekbones were flat and angular, his teeth were white, and slashing lines cut from the corners of those rebel eyes clear into his lean cheeks. There were three shallow creases in his right cheek next to his mouth. “How’s my favorite woman?” he asked, grinning at Lola and holding her in a grip that dangled her feet off the ground, even though they were very nearly the same height, perhaps five feet ten or eleven inches tall. Aunie wondered with fascinated speculation if they were married. She’d never met anyone from an interracial marriage, but it wouldn’t surprise her, given the ask-me-if-I-care expression in the man’s eyes. He looked like the type who would do exactly as he pleased and not give a damn what the rest of the world thought of his behavior. “James, you fool mon, put me down,” Lola said sternly. “I’d hate to be squashed, Otis.” Still grinning, James let Lola loose. Aunie’s startled attention was drawn to the black man who had spoken. She’d been so caught up in the blond’s theatrics she’d failed to even notice the other man, but now that she had noticed him, her eyes widened. Before he’d smiled, she’d thought the blond looked tough… and it was most likely that he was. Compared to this man, however, he looked like a pussycat. Otis was tall- very tall. To Aunie, who was seated, he appeared to be an ebony giant, all roped muscles, dark, gleaming skin, and standing veins. His bald head shone in the overhead light and there was a ridge of scar tissue bisecting his skull from the crown of his head to his temple. A small golden hoop glinted in his ear and when he suddenly smiled, she was taken aback. He had a surprisingly sweet smile, with the whitest, strongest teeth she’d ever seen. “Who’s your dainty little friend, baby?” The deep rumble made Aunie’s head whip up. Otis had crossed the room on silent feet and was standing before her. “The hell she is!” James roared, and Aunie stared at him in startled confusion. The humorous tease of a moment ago had vanished. In his place stood a furious, scowling man who looked ten times harder than she had thought him to be. She rose to her feet, but she was tiny and still had to crane her neck to look him in the eye as he towered over her. “Sorry lady,” he said flatly, staring down at her with eyes colder than the Pacific Northwest rain. “That apartment’s not for rent.” Not, at any rate, to another screwed-up little waif looking to make her problems his problems. Aunie drew herself up. “Ah have a signed contract that says it is,” she disagreed in her well-bred, soft-spoken voice. The sudden thickening of her accent was the only outward sign of an escalating inward anger. She didn’t know what this man’s problem was, but she was not giving up her new apartment. “Excuse me!” Aunie’s infuriated voice sliced through his complaint. “You’ve got quite an inflated opinion of yourself, haven’t you?” Between swollen, blackened lids, her brown eyes flashed fire. Breasts rising with indignation beneath her oversized silk-and-cotton-blend sweater, hands clenched into fists at her side, she stalked forward belligerently. Despite her diminutive size, James found himself backing up a step, wondering how she managed to appear to be looking down her nose at him when she had to tilt her head way back merely to meet his eyes. “Who the devil are you, mistah?” she demanded, “Superman or something? Ah purely don’t recall him havin’ such a filthy mouth.” She tossed her head, making her shiny brown hair swing away from her bruised jaw. “That apartment is mine, paid for and signed on the dotted line and I am moving in on the first. I don’t know what you’re in such an uproar about, anyway- nobody requested your assistance handling my problems.” She conveniently chose to forget her momentary excitement over his and Otis’s obvious street-aware toughness. It was beside the point, anyway. “Yeah, Superman,” Lola murmured with a throaty laugh. Lola just gave him her mysterious, three-cornered smile- the one that drove him mad and had led him to pursue her some years back until she finally agreed to marry him. Laughter rumbled like distant thunder in his massive chest. “Yeah, I suppose you do, at that.” With a mock growl. He grabbed her up and rolled her over. She’d better. It wasn’t as if she had any other options. “Let’s heah it. Ah could use a little good news about now.” Feeling her grasp on her accent slipping- always an accurate barometer to the amount of stress she was feeling- she took several slow, deep breaths. At her appointment with the college counselor earlier in the day, she had been warned that it was quite late to be registering for the fall quarter. One or two of the classes that interested her had already started this week and another class was full. Aunie had felt a bit discouraged, but the counselor had also offered hope. She’d said it wasn’t uncommon for classes to be dropped in the first week, so there was still a very good possibility that Aunie could get the ones she desired. Sitting in her hotel room, she finished selecting her alternate choices and filled in the registration form to be returned to the school tomorrow. Then she didn’t know what to do with herself. Her dinner was delivered and she ate it while watching the news on the television. After setting her tray out in the corridor, she wandered around the room, rechecking all its features. She scanned the pay movies listed inside the armoire that housed the television set. Nothing appealed to her. 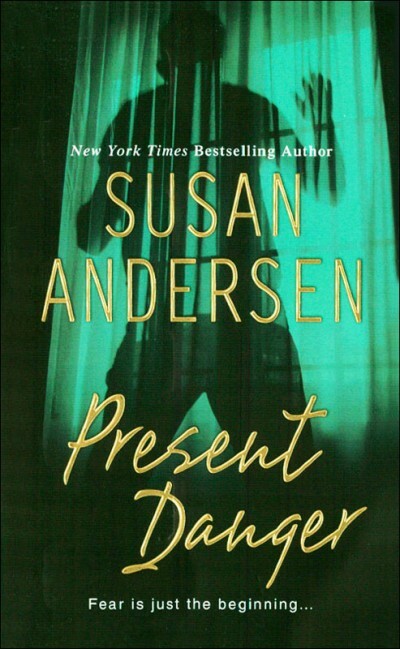 She picked up a paperback, tried to read, then threw it down on the nightstand next to the bed. Picking up the evening paper, she read an article about a man who’d been arrested for making obscene phone calls to approximately a hundred women. The article also reported that in an unrelated case, the telephone company and the police were working together to track down a different caller responsible for placing an alarmingly high number of harassing phone calls to female students at a local college. Aunie tossed the paper aside. She didn’t need to hear about other people’s troubles. She had enough of her own. There had not been sufficient time for most of the swelling to go down. She had walked out of the hospital emergency room two days ago, closed her account at the bank, called a company to crate the few belongings she would eventually want shipped to her, packed as many herself as she could carry with her, and called the airlines for flight information. She hadn’t known exactly where she was going, but she’d felt the need to cover as much ground as possible while Wesley was still in jail. She only hoped he wasn’t paying private detectives to keep an eye on her while he was incarcerated. But, surely not. He hadn’t had time to arrange it. Unless, of course, he hadn’t really dismissed the one he’d already had in his employ, as he’d told her he had. She wouldn’t put anything past him. Leaving Jordan in charge of her stored belongings and of putting her house and car up for sale, she had caught a red-eye to Chicago. At O’Hare, she’d decided on Seattle as her final destination because it was far away from home and she didn’t know a soul there. Wesley would have no reason to assume that she was heading there. She had slipped into a women’s restroom and tried her best to change her appearance. It hadn’t been an easy task with her face in this condition: the swellings and discolorations made it conspicuous. Desperate to escape detection if she were being watched, she had explained her situation to a large group of businesswomen on their way to a seminar, and one of them had gone to purchase her ticket for her. They had then buried her in their midst, carrying her from the restroom to the gate of departure. She didn’t recognize that face in the mirror. The contusions affected its shape, effectively disguising her much-lauded bone structure. There was a stitched tear in her left earlobe where Wesley had ripped out he pierced earring. Both eyes were blackened, but thankfully no longer swollen shut. Her nose had been broken, but the emergency-room doctor had assured her that once the swelling went down, it should be good as new. Her lip was split; it, too, would mend. Her skin was eventually going to regain what had once been referred to by a suitor given to flowery compliments as its poreless, alabaster complexion. A gross exaggeration, that, but her complexion was the one physical attribute she took pride in, and anything would be an improvement over its current condition, which was a rainbow of hideous bruises, ranging the spectrum form dense purple to saffron yellow. But, basically, the doctors had told her, her injuries were superficial. She was lucky, she had said. No other broken bones, no eye damage, on concussion to report, no lost teeth. After the fuss her mama had made in the emergency room, they’d rushed to assure her she would once again regain her former beauty. Those assurances had satisfied Mama, but left Aunie feeling quite ambivalent.